On Saturday, February 2, 2019 the Friends of the Kasson Public Library honored Clarice Peterson of Kasson with the 2018 Friend of the Year Award. Clarice is one of the most active members of our organization. 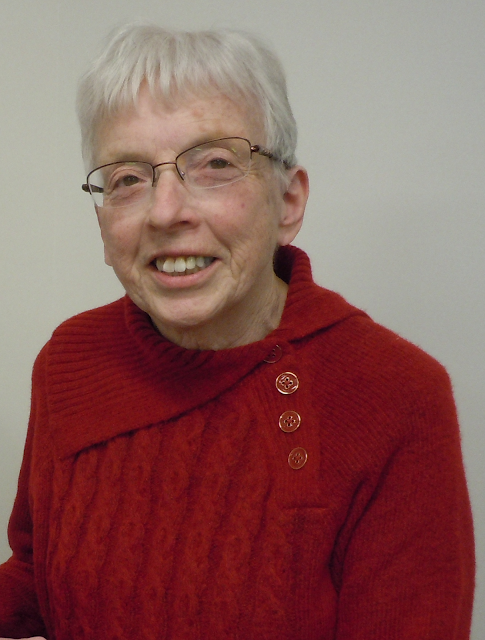 She volunteers her time to support the many programs the Kasson Library offers. These include helping with the Summer Reading Program, the Coloring Club and the Sewing Club. Clarice also provides behind the scenes clerical support to the staff of the library. When she's not at the library you will find Clarice donating her time and talents at the Kasson-Mantorville School as an assistant in the classroom. One of her hobbies is to collect broken or donated coloring crayons. Clarice then takes them home, removes the labels and sorts them by color. The crayons are then recycled and sold and those funds are then donated to the American Cancer Society. In the Friends organization, Clarice has served on the Board of Directors in the position of Member at Large and currently as the Historian. She helps with fundraising efforts by organizing the magazine rack at the library and works at the Friends’ used book sales. Finally, whenever the library or Friends needs help with refreshments, she bakes up her wonderful cookies. Clarice is modest about her success and the ability to achieve this award. She credits her husband Lance for his support and the inspiration she receives from her two children and four grandchildren. Clarice Peterson truly exemplifies a friend to us all and her community. Thank you Clarice for being our Friend of the Year!